Readers, it’s confession time. I’m an addict. There. Said. It. Worst part over. When the people at Rix Petroleum tweeted me this week with their new competition using seasonal vegetables in a recipe, I was keen to get involved. When I saw March’s vegetable was asparagus, I was even keener to get involved. 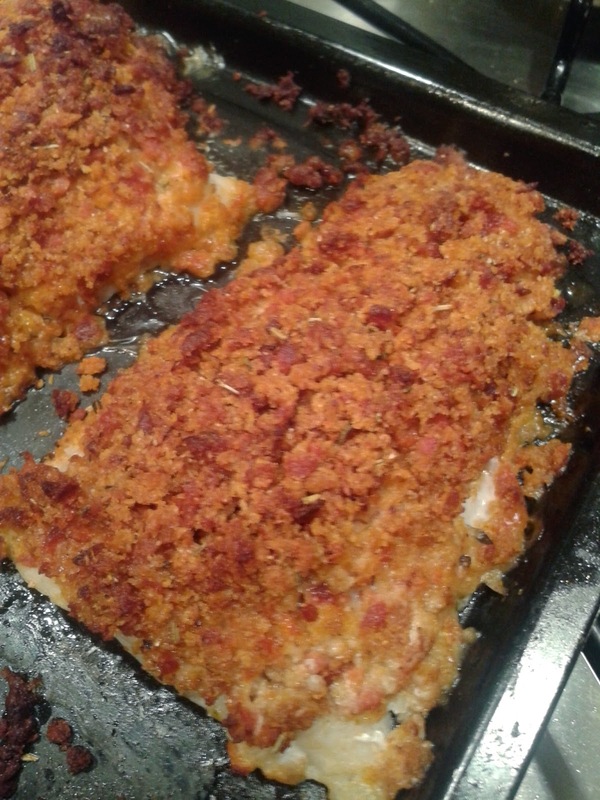 This recipe has been adapted from the Hairy Dieters baked fish recipe, which has been a dream book to use – healthy food doesn’t always have to be boring! 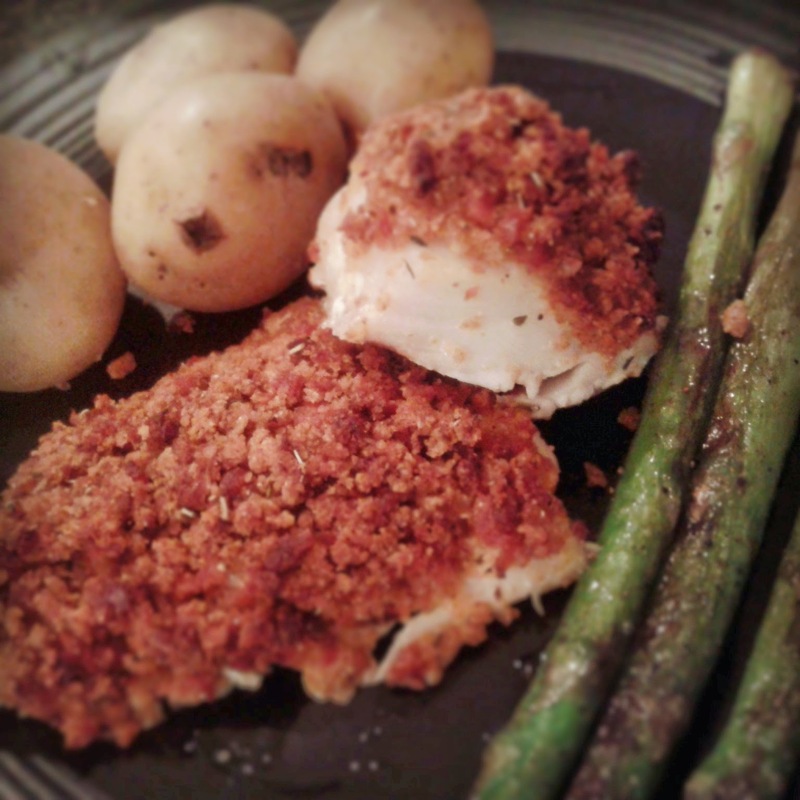 This is an easy midweek supper and if you haven’t got the time to get fresh fish, frozen works just as well. Remove fish from freezer and sprinkle with freshly squeezed lime juice. Set aside. Cut up your chorizo into slices and add a drop of sunflower oil to a non stick frying pan. Fry the chorizo for several minutes until the oil is released. Tear up the bread and add to the pan. The bread should soak up all the oil. 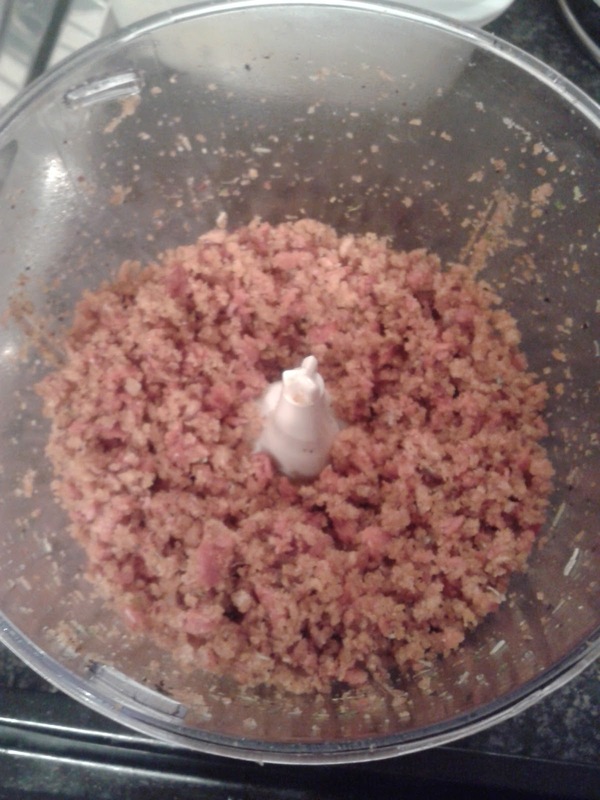 Remove the bread and chorizo from pan and add to a food processor. Add the garlic, chilli, thyme, salt, pepper, lime zest and juice and grated Parmesan and process for around 30 seconds. Then add a teaspoon of oil and process again until all the ingredients are well combined. Lightly oil a baking tray and place fish onto the tray. Remove the crust mixture from the food processor and pat down on top of each fillet of fish, until the top is fully covered. Place into a preheated oven and bake for around 20-25 minutes. Meanwhile, as the fish is baking, boil the potatoes for 20-25 minutes until cooked. Approximately 10 minutes before the fish is ready, melt 20g of butter in a griddle or frying pan, over a medium-low heat. Once melted, add the washed asparagus to the pan and coat in the butter. 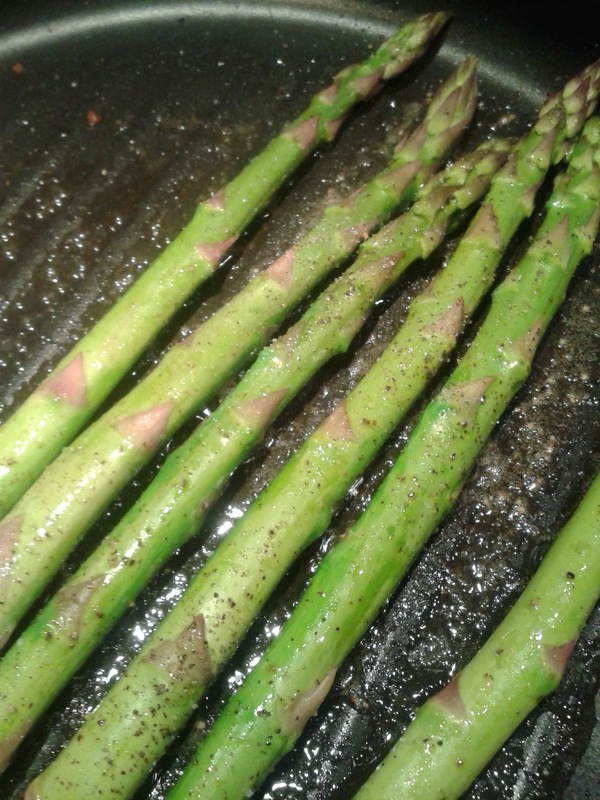 After 2 minutes, grind in salt and black pepper to your liking and coat the asparagus. Continue to turn the asparagus through cooking, to prevent burning. The asparagus should soften up but retain a little bit of bite to add texture to the dish. The asparagus will take around 10 minutes to cook. 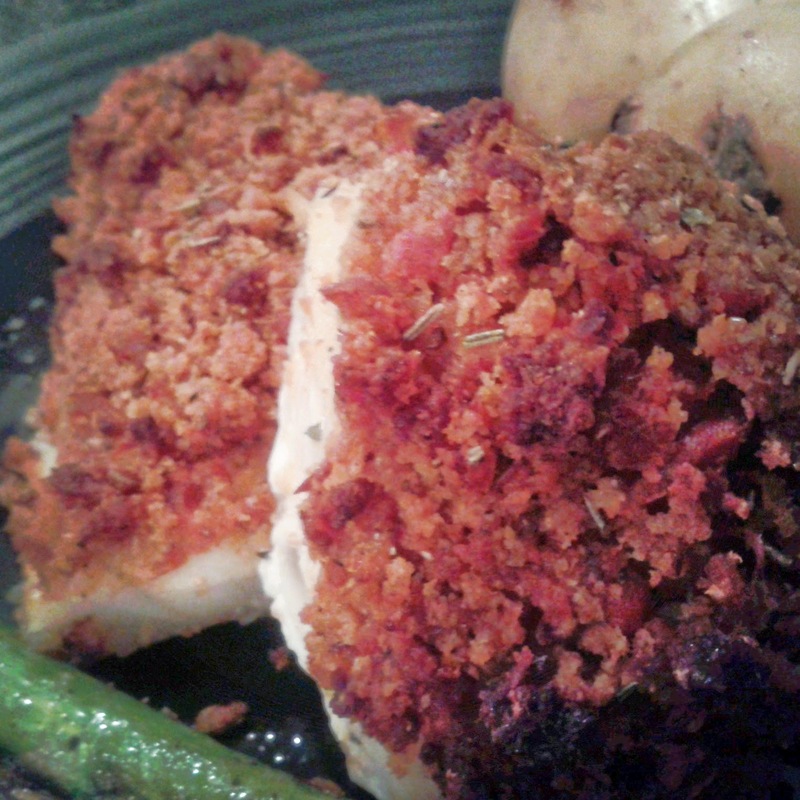 Remove the fish from the oven and rest for a moment. Drain the potatoes and remove the asparagus from the pan. Serve immediately.